The Ghana Union of Traders Association (GUTA) has called on the government to stabilize or improve the performance of the local currency or risk making the reduction of import tariffs irrelevant. Vice-president, Dr. Mahamudu Bawumia at an economic management team town hall meeting on April 3, 2019, assured that the government is slashing import tariffs by 50% beginning Thursday, April 4, 2019. According to the outspoken VEEP, not only is government reducing imports tariffs, but they are also reducing the import value of vehicles by 30%. “To reduce the incidence of smuggling and enhance revenue, the benchmark delivery values of import will be reduced by 50%. However for vehicles, the reduction will be 30 percent”, Dr. Bawumia said at the town hall meeting earlier today. 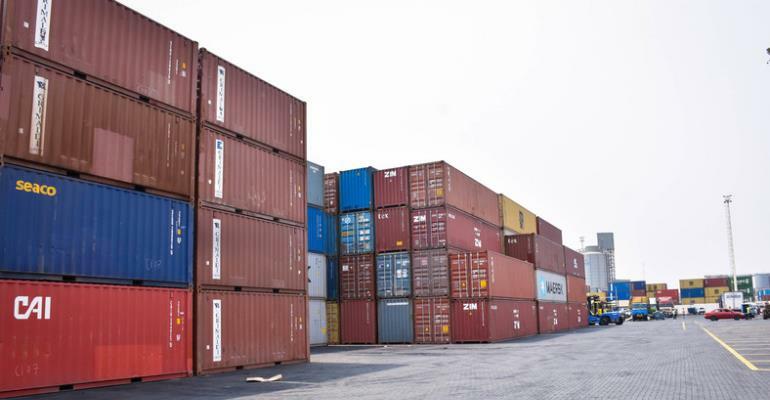 This decision by government comes in the wake of pressure from groups such the Ghana Union of Traders Associations (GUTA), who have called on the government to review the high taxes and duties on imported items. Reacting to the announcement by the Vice-President today, GUTA and National Spare Parts Dealers have described the news as welcoming and one that will go a long way to boost their businesses. Meanwhile, Welfare Officer of GUTA, Benjamin Yeboah in an interview on Joy FM has called on the government to improve the performance of the Cedi against the other major trading currencies. He opines that if that is not done, the decision to reduce the import tariffs will be irrelevant. “Like in 2017 when the duty component of the spare parts was reduced, the exchange rates eroded all the gains. So now that we have this reduction in the benchmark value it is important that the cedi strength is actually appreciated or stabilized. It is very important or otherwise all the gains that we hope to make will be eroded”, He said.